You don't know about the demat account? You don't know how to open it? If yes, then you came to the right article. 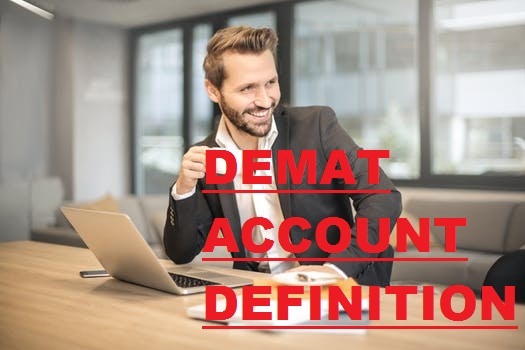 In this article, you will find the basics information about the demat account. You must open a demat account if you invest money in the stock market. Demat account is the platform where the shares are stored. Demat account helps you to holds the shares. it's like a bank account which holds your money. This account is also known as a dematerialized account. Never confuse about it. Dematerialized is the safe and convenient ways to hold securities. each account came with a unique number. Every stock market investor must have a demat account. You can't invest in the stock market without a demat account. ➧WHAT IS TRADING ACCOUNT IN STOCK MARKET ? 1. One of the big advantages of is that demat account is not only for holding stocks.you can also use this account for bonds, mutual funds etc. 2. Online work is much better than paperwork. That's why no paperwork involves with the account opening process. 3. Demat account is safe and secured. These days opening a demat account is too easy. it's a totally online transaction. step 1- Find the depository participant. And ask them to your demat account. And they will give you form. step 2- Fill up the form and submit them. Your pan card, photo, address etc are necessary. step 3- after the verification the depository participant give your account. I hope this short information will help you.